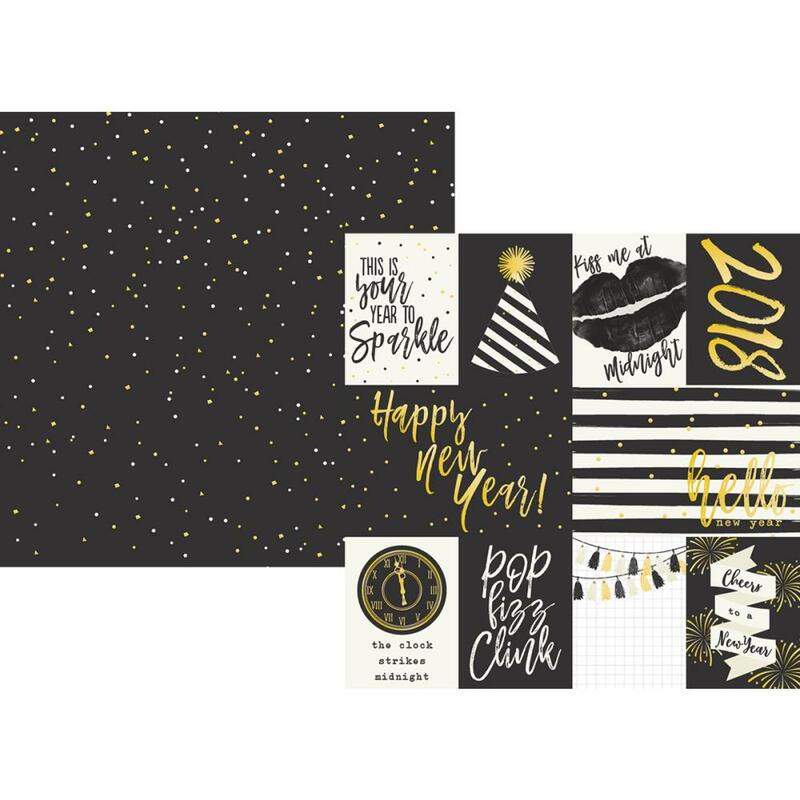 This 12x12 double sided paper has assorted Journaling Cards on the frontside. The reverse side has gold & white Confetti on a Black Background. Part of the 2018 New Year Collection by Simple Stories. This is a Mini Collection with Element Stickers and three (3) Designer Papers.